So you have a web presence. Now you need to know how it’s performing! Google Analytics is a free tool that tracks website data. You can use it on your website to save you time and money, increase sales, find (and fix) problems, and make business decisions. Focus on building your team’s confidence, communication, and trust through cultivating a culture of transparent, compassionate feedback. Organizations that operate with a growth mindset open avenues for deeper dialogue and transformation around issues impacting team dynamics and efficiency. Love podcasts? Why not make your own! Learn about how to write, record, edit, and distribute your podcast. You know that thing you need to do? And you haven’t done yet? 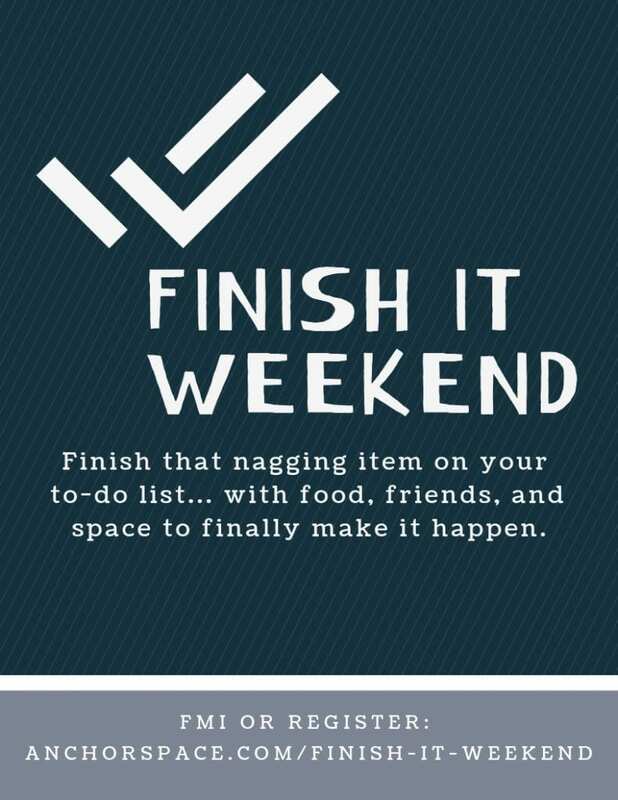 Finish It Weekend is about finally tackling it. Giving yourself the time, space, and support to do it, finally. If you are a mentor or need a mentor, we have space for you. 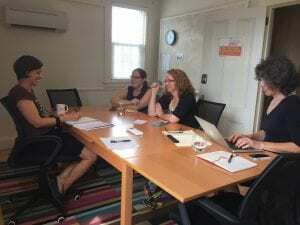 Anchorspace not only has more formal meeting space but also informal spaces to connect. Click here to learn more. Our 1800 square foot location is well appointed, close to downtown, clean, and has the right balance of historic and modern touches. We’re also close to parking options. Want to host your own event in Bar Harbor? Contact us! We are an affordable option and will work with you to make your event as successful as we can.